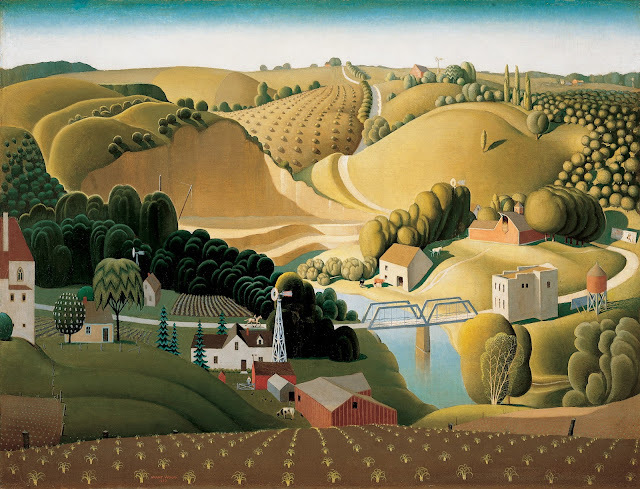 Infinite Art Tournament: The Infinite Art Tournament, Round Two: Wood v. Wyeth! The Infinite Art Tournament, Round Two: Wood v. Wyeth! Mariah opens bidding on FB with a vote for Wyeth! Two powerhouses, and so early, too! I find that although I like American Gothic a lot, I could take or leave the other Woods, whereas I like all of the Wyeths, and I think I might like Christina's World almost as much as American Gothic. So, on balance, I'll vote Wyeth. 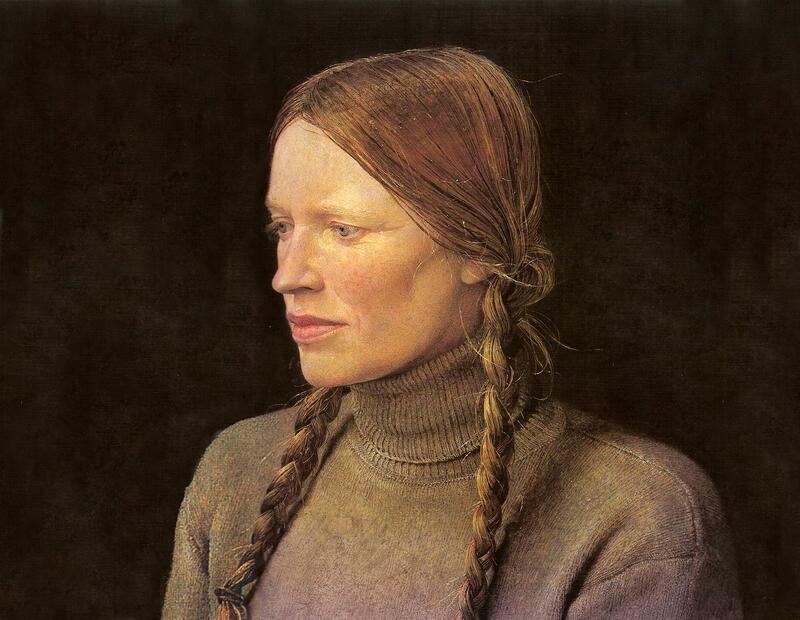 Wyeth! I just bought a collection of Wyeth stamps at the post office. They look so pretty on my letters. I like both a lot, but Wyeth even more. His stuff looks even better in person. 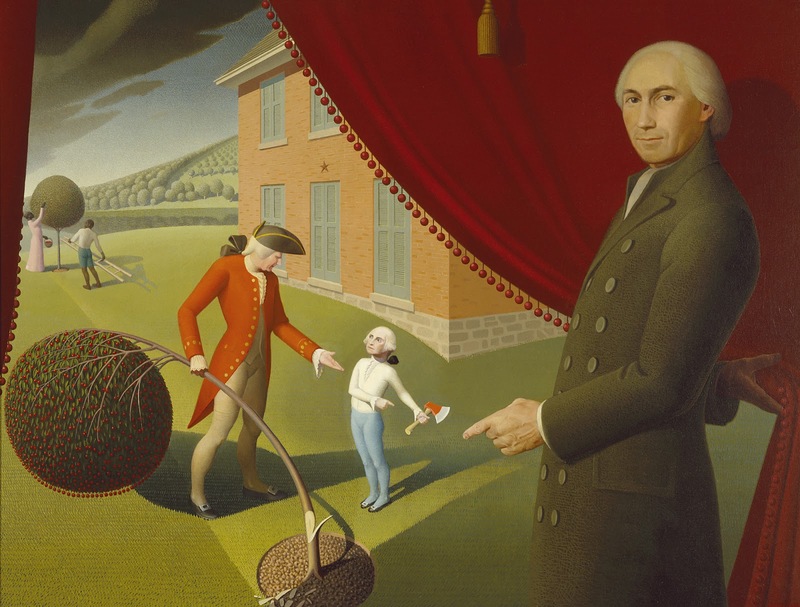 Great museum in Chadds Ford, PA dedicated to his art, as well as his dad N.C., and his son Jamie. And I also just bought some of the Wyeth stamps at the post office like Maddy did. Two titans for sure. Surprising myself, I'm going Wyeth. Wyeth. Which reminds me, we should get over to the Portland Art Museum for the Wyeth show! There are two more FB votes for Wyeth. 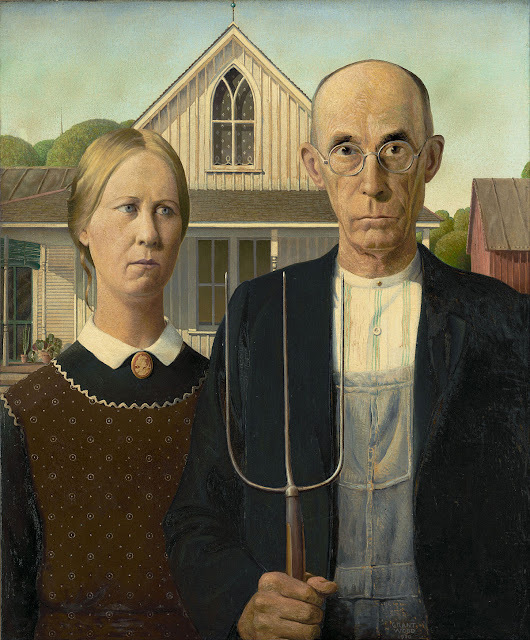 Outside of American Gothic, I'm not a big Wood fan. And Wyeth is amazing. Him. Like 'em both, but I especially like the abstractions of Mr. Wood. Susan says "What happened to my vote for Wyeth?" Fifteen votes! FIFTEEN votes for Wyeth! That's a lot of votes! And only two for Wood. Wyeth wins the American Heartland Bowl, and heads towards Lord Leighton in the Third Round! Let's see what happens next!